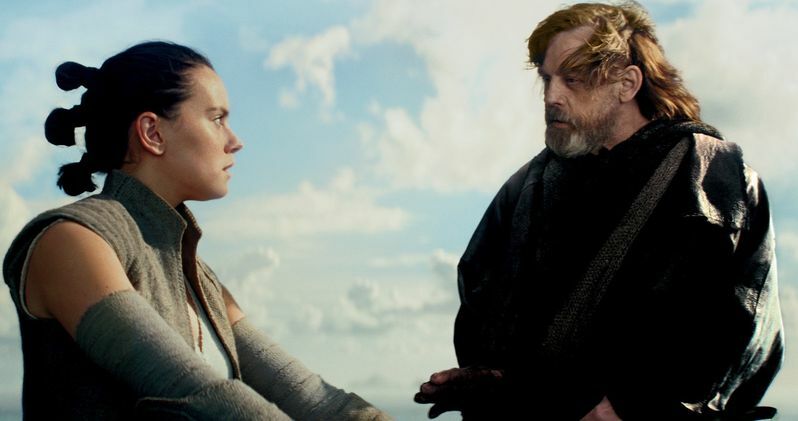 Mark Hamill has made a vow to no longer talk about Star Wars 9 or the other new movies in the franchise. Hamill has historically been very vocal and loves to express his opinions, controversial, well-meaning, fun-loving or whatever they may be when it comes to a galaxy far, far away. But, given some of his opinions about Luke in The Last Jedi and the fact that it made it seem like he fundamentally disagreed with decisions that director Rian Johnson made in regards to the character, the actor has vowed to no longer discuss the new movies. In a recent interview in honor of Knightfall season 2, Mark Hamill spent some time reflecting upon his highly publicized comments regarding Luke Skywalker in The Last Jedi. As we all know, Rian Johnson's movie was divisive amongst the fanbase, with certain so-called fans getting downright ugly about it. Hamill's comments sort of unwittingly fueled that fire. Don't expect to hear him say similar things about Luke, in whatever capacity he appears, in Episode IX. Here's what Hamill had to say about it. "The thing is. Luke changed so much between the first trilogy and the last trilogy. I got myself into trouble [by stating those opinions]. I made a vow, I said that I'm not going to talk about the movies anymore, because I think it's important for the audience to see them...My problem was, I wasn't dealing with social media back then, where you say something and it goes around the world in 24 hours! If I were to answer your questions on paper, I'd think: 'Oh, that sounds a little strong, or, I shouldn't say this.' But I have a tendency just to talk and talk and talk, and you can cherry-pick. You know, I'll be reading something, and say, 'What moron said this? ', and then realize, 'Oh, it's me.' They can take selective comments you've made out of context and use it to support their argument: 'See, Mark hated Star Wars!' Did I?" It's understandable that Mark Hamill would take this approach ahead of the press tour for Star Wars 9 later this year. He has nothing to gain from being overly expressive about his opinions. Ultimately, he did walk back his comments a bit and praised Rian Johnson's overall vision for The Last Jedi. Still, those words were, and still are, out there in the universe. And Hamill has always been a great ambassador for the franchise. Why would he want to do or say anything that causes controversy? Again, from his point of view, this makes sense. But is this a promise that Mark Hamill can really keep? He does love to talk. Then again, that may depend on how much J.J. Abrams uses him, and in what capacity, in the upcoming finale to this new sequel trilogy. Star Wars 9 is set to hit theaters on December 20. This news was previously reported by Den of Geek.